Bit of a history nut, love me a good road trip now and then when I'm not working the night shift. Before you ask, yes you can see the baby farm animals and yes, they're adorable. 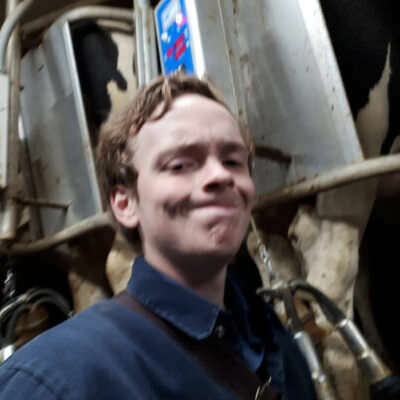 You may or may not be subject to complaints about farm work but I promise I'll try to make them at least mildly humerous. Dress for the slide, not the ride. I do like my skin staying on my body. Highway 41 into the Ottawa Valley, best scenery in the whole province and plenty camping spots on the way. Any Paradox gdand strategy assuming I have a loooot of time on my hamds. Toss up between Fear and Loathing in Las Vegas and Falling Down. The Grateful Dead, tragically Hip and Jefferson Airplane, not necessarily in that order. Anything with Hunter S. Thompson's name on it. Exploration first and foremost, making cabinets and the like, airsoft if the weather's nice with a side of target shooting. Might also go on a pleasure ride through the country on my Kawi. Motorcycle racing. Looks like a fun time on one that isn't mine. To have have my own business, pribably making trailers or something. I'm a simple man, just be nice and in my age range. Call me old fashioned I suppose. Might be a beer and the sunset, might be coffee at a diner, maybe the old standby of dinner and a movie. I'm no rich man but I aim to please.